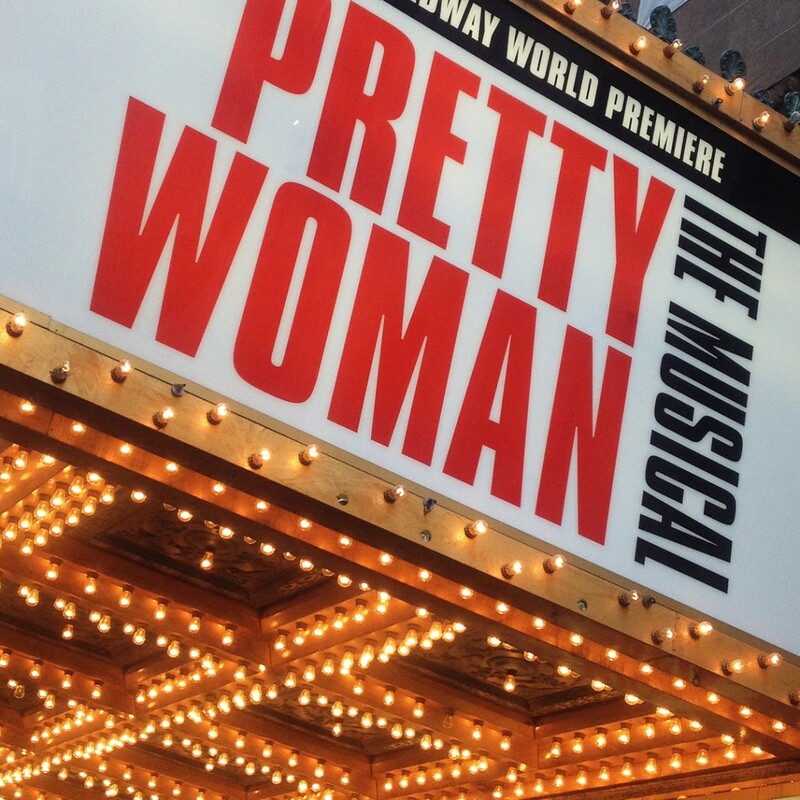 More Fun Day Sunday with the pre-Broadway PRETTY WOMAN at the Oriental Theater. Great to see Samantha Barks as Vivian. Nice throwbacks to the movie… just wish the songs were better! Kinda makes me happy our tickets were free! Makes me want to watch the movie again though! I must admit I was hoping for more! 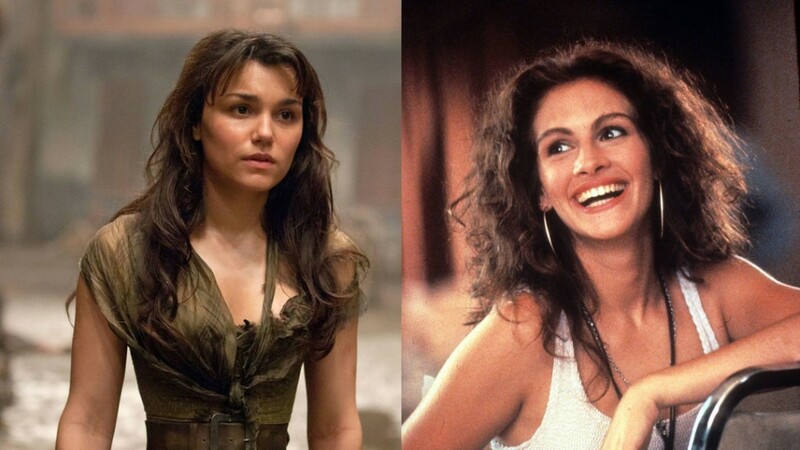 I loved her as Eponine in “Les Miz”…. but she never quite got a chance to shine as bright as Julia ROberts did. 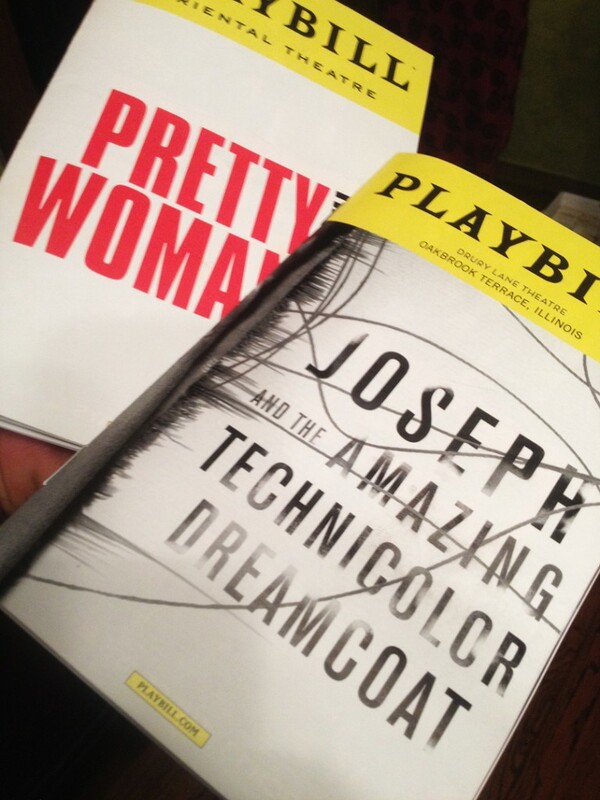 What’s better than one Broadway show?… TWO!! It was a “Double Feature” yesterday with an evening performance of JOSEPH AND THE AMAZING TECHNICOLOR DREAMCOAT at Oakbrook’s Drury Lane Theater. Very fun & entertaining… but one of the STRANGEST adaptations I’ve ever seen. Instead of the traditional desert of the Bible, this show took place in a Las Vegas hotel room. Seriously. And every time the Narrator sang one of her songs to progress the story, she performed it as a different Las Vegas icon. Britney. Cher. Liza. Celine. Bette. Shania. Her impersonations were fun, but it totally took away from the story. Well that, and the fully-decked out Vegas showgirls… several of whom were burly guys in drag??? Go, go, go Joe! 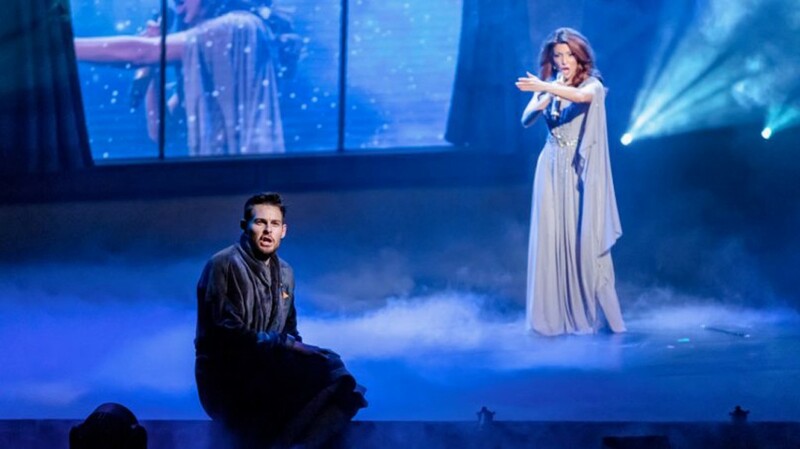 Here’s an example… like this scene where the Narrator is totally upstaging poor Joseph as she sings ala Celine Dion. And with every impression, we also got an awkwardly humorous moment where Joseph takes a celebrity Selfie of himself with the Vegas Icon!… only to be projected on the large LED screen behind them.